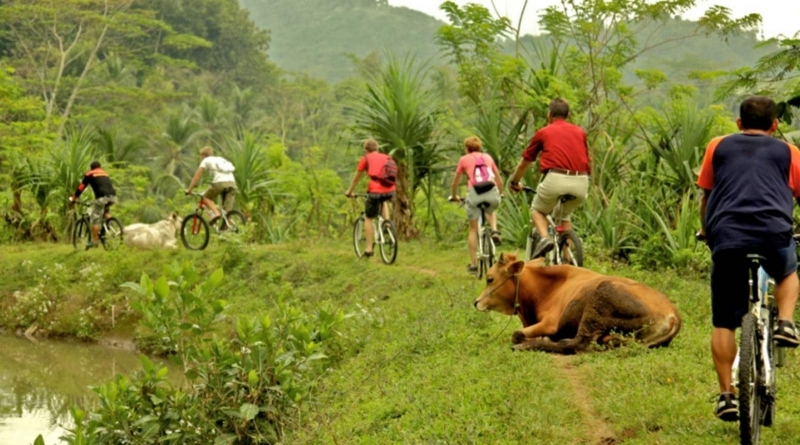 Cycling and Mountain biking in Sri Lanka is an excellent way to enjoy the lovely sceneries of Sri Lanka. The network of main roads and innumerable country roads, gravel paths, foot paths, cart tracks, dirt tracks and estate tracks make the all corners of the small island accessible to the cycling enthusiasts. The terrain throughout the country offers challenges for beginners and experts; though cycling in the plains aren't tiresome, the Central Highlands could be demanding. However cycling in the Central Highlands is rewarding too in view of the landscape studded with tea plantations running seamlessly over the ranges of hills, terraced rice cultivation and farmlands. Sri Lanka’s varied landscapes also bring about the perceptions on cultural heritage and experiences in rural village life to the tourists cycling in Sri Lanka. Cycling through rice fields and rural villages; through tea covered hill country, taking the coastal roads of the South Western and southern coastal belt, riding over the cultural triangle studded with monuments, renovated monuments and ruins of ancient Sri Lanka reward all the cycling enthusiasts in invaluable scale and scope. Though cycling is enjoyed in exploring the island, cyclists should be extra careful in the main roads. The hurtling buses, zig-zagging three wheelers and other motorists could push to the cyclists into tight corners. Though bicycle repair shops can be easily found in major towns, such workshops aren’t often found in rural areas of Sri Lanka. In these circumstances, cyclists enjoying riding in Sri Lanka would find a tool kit in their possession handy. Cutting across sharply contrasting geographical regions are four National Cycling Trails. Theses trails have now been developed over routes along the southern coast up to Koggala, to the Cultural Triangle in the North Central Province, the Sabaragamuwa province at the foothills of the Central Highlands and the magnificent Central Highlands past seamless tea plantations and cascading waterfalls. The Central Highlands of Sri Lanka with its salubrious Climate afford enormous opportunities to the tourists keen in Cycling in Sri Lanka. 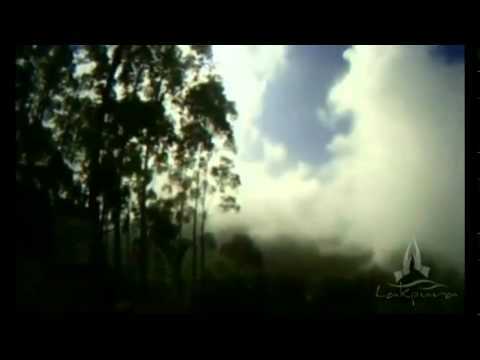 The Central Highlands of Sri Lanka calls for serious mountain biking. Seamless tea plantations are explored by way of criss-crossing estate tracks that connect the tea factories, villages and small towns. 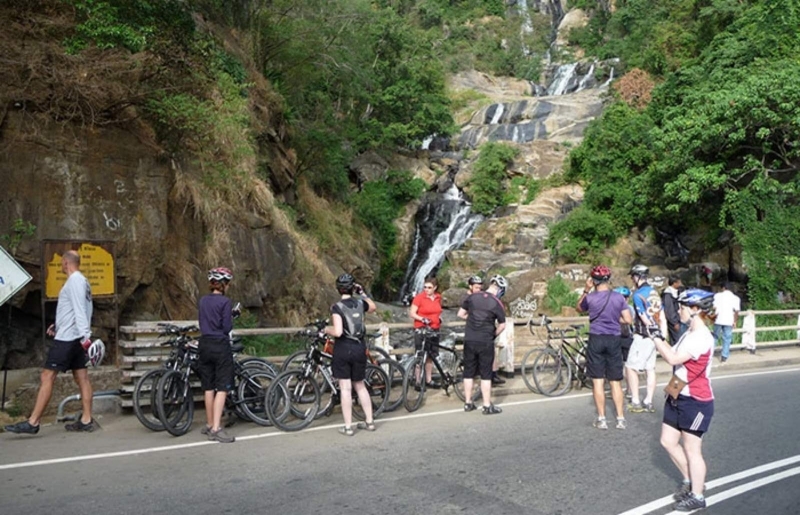 Kandy, the gateway to the Central Highlands is the ideal starting point for mountain biking in Sri Lanka. Begining at Kandy the mountain bikers may take up the trail over the Hantana mountain range to reach Pusselawa so that the ride could be continued to the popular colonial hill station of Nuwara Eliya. 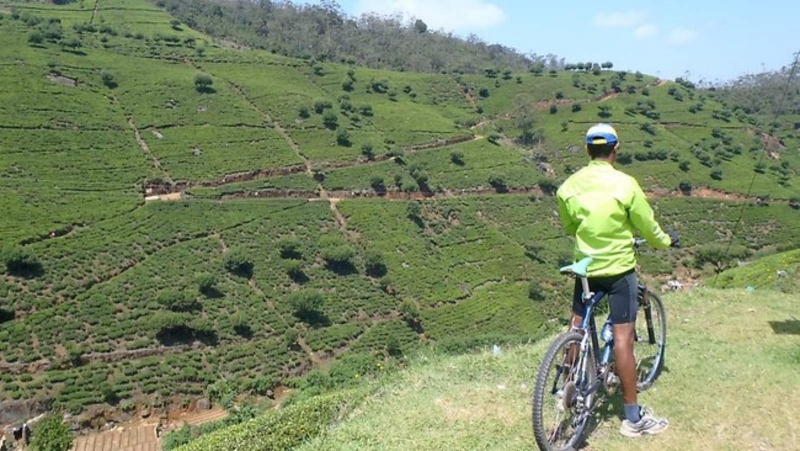 On the second day, Nuwara Eliya affords the opportunity to do cycling to the famous Horton Plains. In the third day the cycling journey that could end at Aggarapathana. During all three days the cycling trails cut across areas rich in birdlife. Cycle through the charming commercial capital city of Colombo at dusk, visiting some of this urban metropolis’ most iconic landmarks. Uncover the history of the city and hear the stories and secrets behind it. Witness the City of Lights, Colombo from a different perspective. Catch a quick break with some light snacks & refreshments along the way. The regular starting point for cycling in Sri Lanka is Habarana. Cycling via Kandalama the World Heritage sites of Dambulla and Sigiriya can be reached in the same day. Following day ancient capital of Polonnaruwa, another world heritage site can be reached. Cycling over the embankments of ancient man made irrigation reservoir called “Sea of Parakrama” is an exhilarating experience. On the third day cycling could begin at Polonnaruwa to enjoy the scenaries around Giritale Sanctuary and Wasgamuwa National Park.